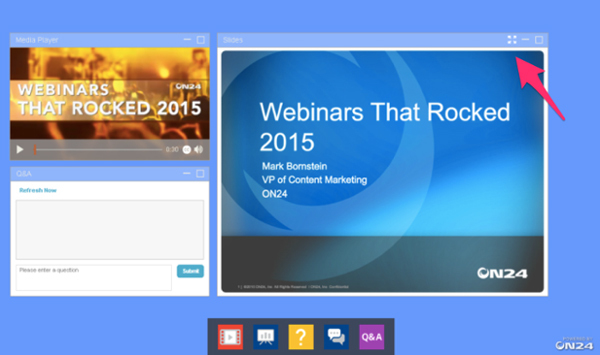 Now your webinar attendees have the ability to view your webinar content in full screen. When in full screen, anything you push to your audience like slides, video, screen share, polls, and questions will also be displayed in the expanded view. Next time you log in to ON24, you’ll immediately notice the new and improved user interface. 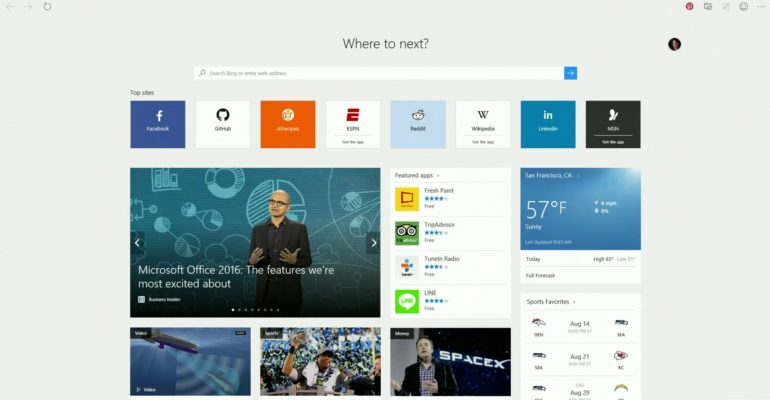 With the updated navigation, you’ll encounter a more modern, user-friendly experience. Please note the way you create and manage your webinars will remain the same. Marketers today are almost obsessed with content syndication — and what content is more valuable than webinars? This new update makes it easier to reuse webinar content and create new on-demand and simulive webinars from past events. Now you can import storyboard content and presenter media from a completed live webcast into any on-demand, simulive, or sim-2-live webinar. We know that one of your top interests is driving more awareness and boosting registration for your events. That’s why we continue to make it easier to promote and share your webinars. This new update will display a featured image and your webinar abstract, in addition to the event title and date, when people share the webinar on Facebook, LinkedIn, and Twitter. In line with our policy of only supporting software that has vendor support, we will be following Microsoft’s lead and discontinuing support for Internet Explorer 8, 9, and 10. We strongly recommend that all ON24 users update to the most current version of their favorite browser. This change won’t present a big disruption for most of our users, who are already on modern browsers. The Presenter Conference Bridge is a control panel that allows the Producer to manage all dialed-in presenters. Each number will automatically be assigned a name from Caller ID, but the producer can also quickly edit these names to provide more accuracy if necessary. The Producer has the ability to mute/unmute and disconnect presenters from the conference bridge. Last release, ON24 added the ability to upload multiple slide decks in Presentation Manager XD. And now you can add multiple slide decks to your webcast in the Slides And Video Clips Section in Elite.